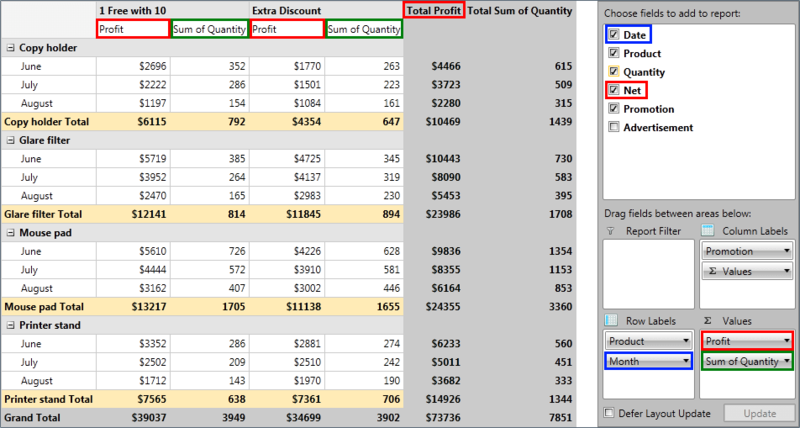 In this article we will show you how to use Data Annotations with RadPivotGrid. Data Annotations are used to specify validation rules, specify how the data is displayed, and set relationships between classes. More information about Data Annotation can be found here. But what if you want to hide the "Advertisement" property or show different name for it? In this case RadPivotGrid has an easy solution for you - Data Annotations. If you want to use Data Annotations in your application, you have to add a reference to System.ComponentModel.DataAnnotations assembly. Browsable - with this attribute you can define whether an item should be visible or not. There's no difference between setting browsable value to false or AutoGenerateField of Display attribute to false. DisplayName - the value of the attribute will be shown in RadPivotGrid and RadPivotFieldList instead of PropertyName. There is no difference in the final result when you use DisplayName and Display attribute (setting Name property). This is an oboslete attribute and we suggest you to use Display instead of it. 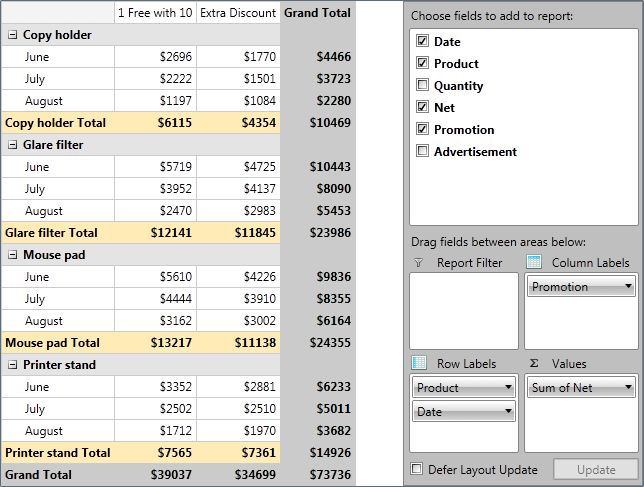 So let's modify our simple Order class and see the result in RadPivotGrid and RadPivotFieldList. 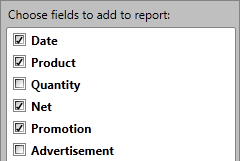 You can see how in the top part of RadPivotFieldList the CustomName is not applied. So if you want to show the same name you have to use Data Annotations. 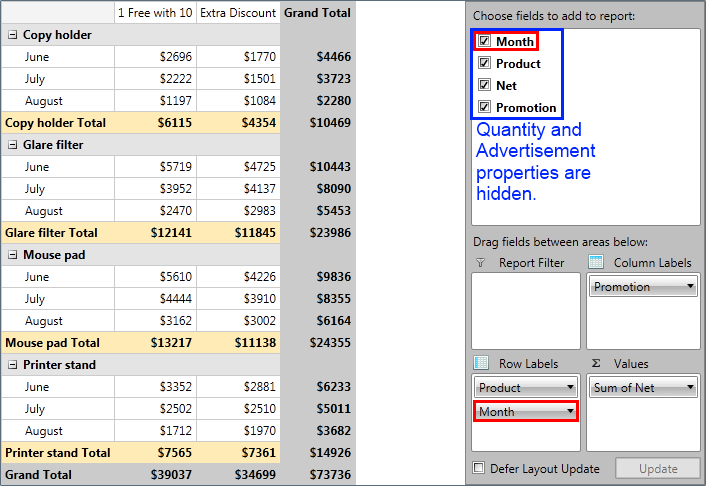 CustomName is suitable in scenarios when you are using only RadPivotGrid or when you want to change the default "Sum of " value which is used for the aggregate descriptions (in green above). If you use Data Annotations and CustomName for the same property, CustomName will be used as it has higher priority.